So, I had never baked with cherries before until this Cherry Pie and here I am making another sweet treat with cherries… Black Forest Cupcakes. With chocolate, cherries & whipped cream how could they not be delicious! I began by making the cherry filling. Unfortunately this isn’t the most appetizing looking picture of the cherry filling, but, it definitely tasted whole a lot better than it looked. While the cherry filling cooled in the refrigerator I made the cupcakes. 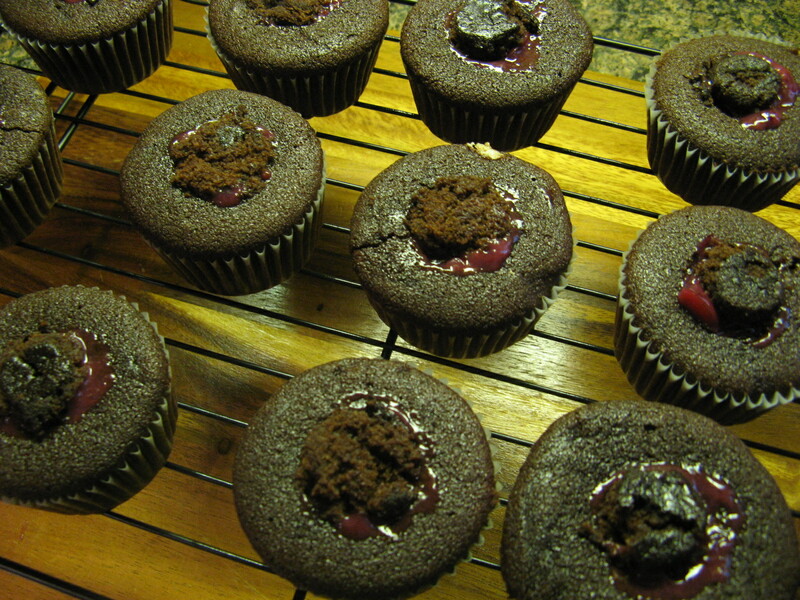 And once the cupcakes and the filling had cooled I cored the cupcakes and filled them with the cherry filling. 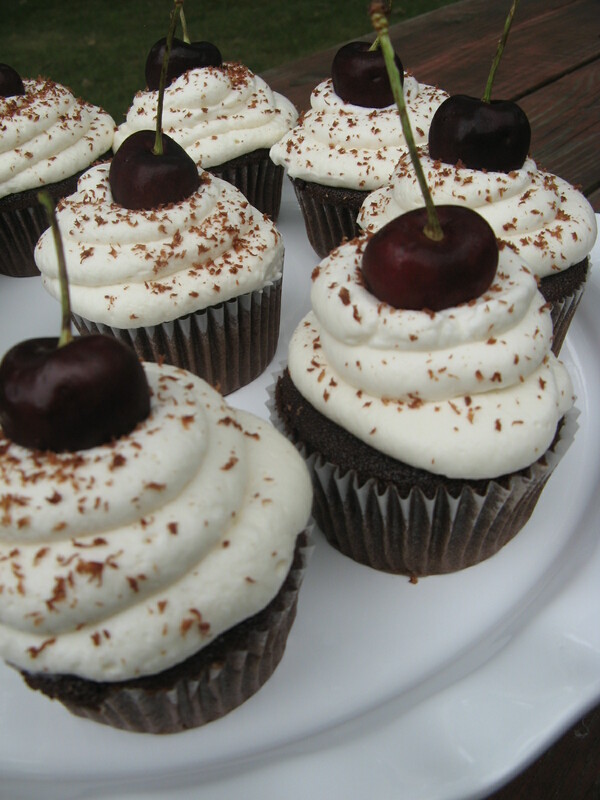 And finally, I topped them with whipped cream frosting, some chocolate shavings and a cherry. Surprisingly these cupcakes were incredibly light and not overly sweet. Preheat the oven to 350 F and line a cupcake pan with liners. Beat the butter and sugar on medium speed until light and fluffy, about 3-4 minutes. Add the eggs, one at a time, beating until just blended. In a separate bowl combine the vanilla extract, water and cocoa powder and whisk until smooth. Add this to the sugar mixture and beat until combined. In another bowl whisk together the flour, baking soda and salt. Add the flour mixture to the sugar mixture alternating with the milk. Add half of the flour mixture, then all of the milk and then the remaining flour mixture, mix until the batter is smooth. Fill the cupcakes liners about 3/4 way (about 1/4 cup) and bake for 15-17 minutes, until a cake tester inserted in the middle comes out clean. 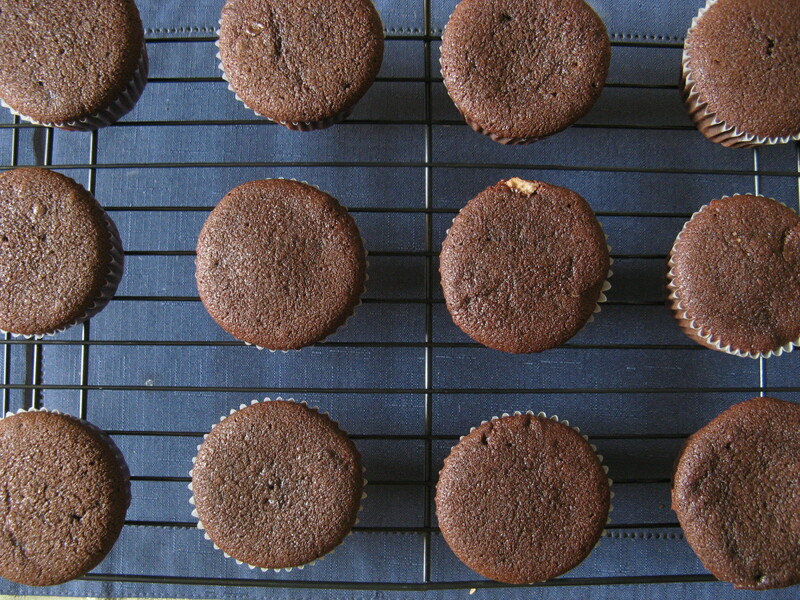 Let the cupcakes cool a few minutes in the pan and then remove them to a wire rack to cool completely. 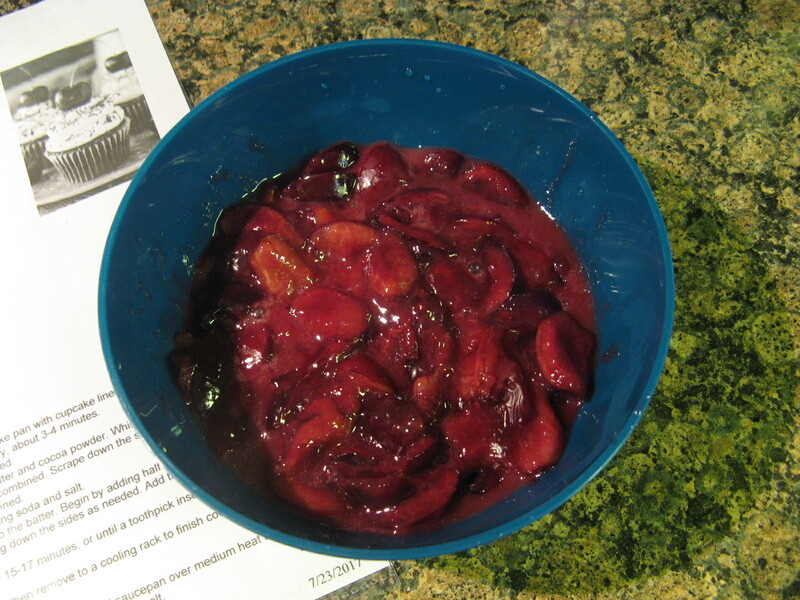 Add the cherries and stir to coat them with the sugar mixture. Cook the mixture until the cherries begin to soften and they let out their juices. Remove from the heat once the juice has begun to thicken. Pour the mixture into another bowl and refrigerate until cool. Once the cupcakes and the cherry filling has cooled remove the centers of the cupcakes using a cupcake corer or a knife and fill the centers with the cherry filling. Add the heavy cream, confectioners’ sugar and vanilla extract to a large bowl and whip on high speed until stiff peaks form. Pipe swirls of the whipped cream on top of the cupcakes. Then top them with grated chocolate and a cherry. Refrigerate until ready to serve.